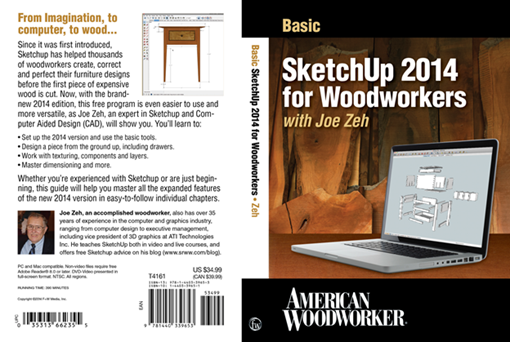 In my Chiefwoodworker’s Newsletter 3-9-2013 Addendum issue I announced that American Woodworker and Chiefwoodworker have teamed to bring in-depth and quality SketchUp training to a greater audience of woodworkers. 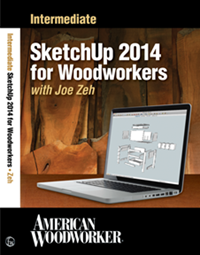 Since March 12, 2013 Chiefwoodworker’s Beginner’s SketchUp Tutorials and Intermediate SketchUp Tutorials have been available exclusively through AmericanWoodworkerTV. Those tutorials were restricted to viewing on-line only and many of you have written to request a downloadable or DVD version. A confluence of events created “The Perfect Storm” which brings us to a new stage in the life of these tutorials. Event one occurred on January 17, 2014; F+W Media announced it had purchased New Track Media. 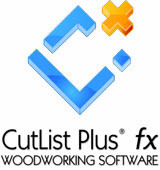 What that meant for woodworkers is that American Woodworker joined Popular Woodworking under the F+W Media umbrella. Both magazines will continue under their own publishing name but they are managed by the same team. Event two occurred February 5th when I was contacted by F+W Media and asked if I would be interested in developing a DVD set of the Beginner’s and Intermediate SketchUp Tutorials. I of course said yes. 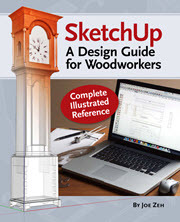 Finally, event three occurred a few weeks into that effort on February 28th when Trimble announced SketchUp Make 2014 and SketchUp Pro 2014. 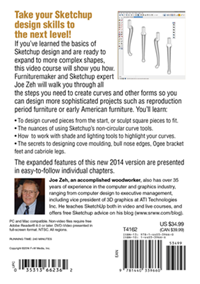 We quickly scrambled to redo all the videos to be compatible with SketchUp version 2014. 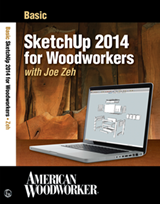 Stay tuned for future planned SketchUp activities at American Woodworker and Popular Woodworking coming soon.